Features premium B vitamins that support stamina, energy, endurance and mental concentration, as well as natural antioxidant support for overall health. Essentials are tailored specifically to suit the needs of men, particularly those aged 40 and above. Fortified with 900mg of five kinds of calcium for strong bones, breast health and healthy hair, skin, and nails. Select herbs and phytonutrients help fill a nutritional gap to support overall health. Highly recommended as part of your overall health and wellness program. Please note that each container of 120 tablets (60 servings) is sold separately. 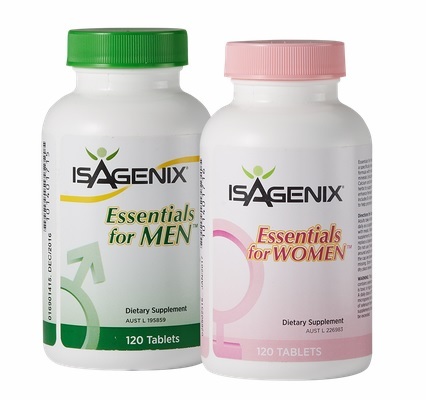 How Do I Buy Essential Isagenix Multivitamins in Canada? 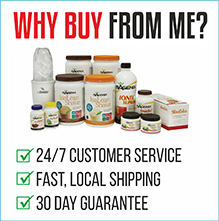 RECOMMENDED: Sign up and Save (CA$30) — Sign up to the Isagenix auto-ship program to become eligible to have access to the cheapest wholesale prices. At the end of the checkout process, you’ll be asked to set up your next month’s order. Autoship can be canceled at any time, even after you take advantage of the cheaper prices on your first order! There are no locked in contracts of any sort. Plus, this gives you the opportunity to participate in the Isagenix business (this is 100% optional). Full Retail (CA$40) — If you prefer not to sign up and take advantage of the lower pricing, you can purchase the products at a full retail price. This is not recommended as you can cancel auto-ship at any time. Your first order with IsaAxcess is covered by a product money back guarantee within 30 days. If you’re not completely satisfied with your Isagenix multivitamins, send them back to Isagenix Canada for a refund! What are the Ingredients in Isagenix Essentials? Download the Isagenix Multivitamins Product Information Sheet, or contact us and we’ll happily assist you.